Almost of the northern provinces have experienced a bone- chilling cold with the temperature of 10-13 degrees Celsius. The extreme cold has triggered a risk of weather-related health problems for children and elderly person. 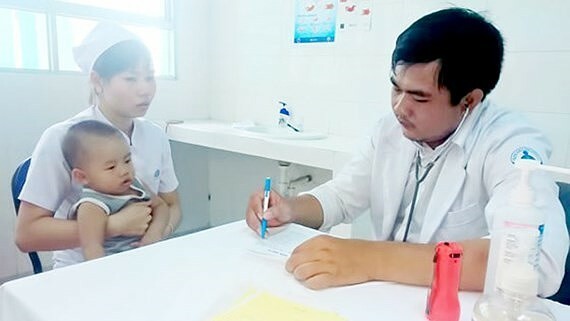 According to Dang Thi Hoang Tuyen, Head of Pediatrics Department of the Central Acupuncture Hospital, cases of peripheral facial nerve palsy has been escalating due to the temperature has suddenly dropped. 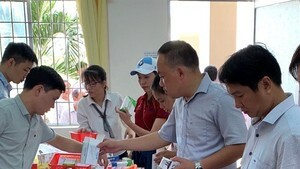 In recent days, many kids have to stay at hospitals for treatment of peripheral facial nerve palsy and distorted mouth. While, the number of the elderly came to hospitals with respiratory diseases, stroke, catastrophe in brain. Amid the long- lasting cold weather, doctors recommended residents especially older adults and kids need to keep body warm, ensure food safety, wear winter clothings before going out as well as do not drink alcoholic liquor.